If you’ve been looking for Instagram Analytics in Hootsuite, our latest Hootsuite app is just for you. 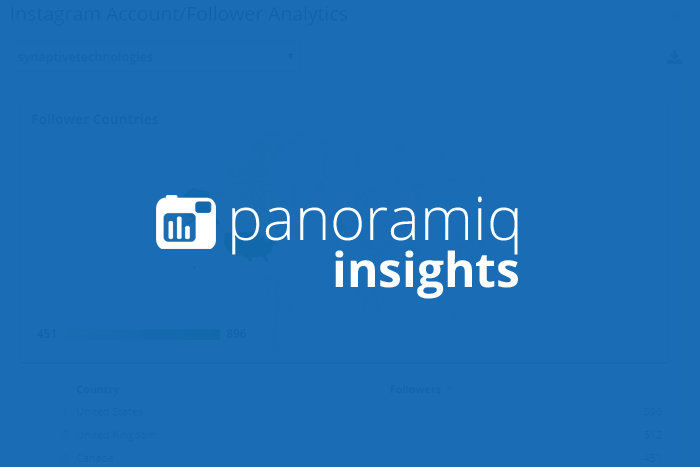 Panoramiq Insights adds powerful Instagram analytics and reports to your Hootsuite dashboard. Easily create and save reports for follower demographics, posts, stories, activity and more. 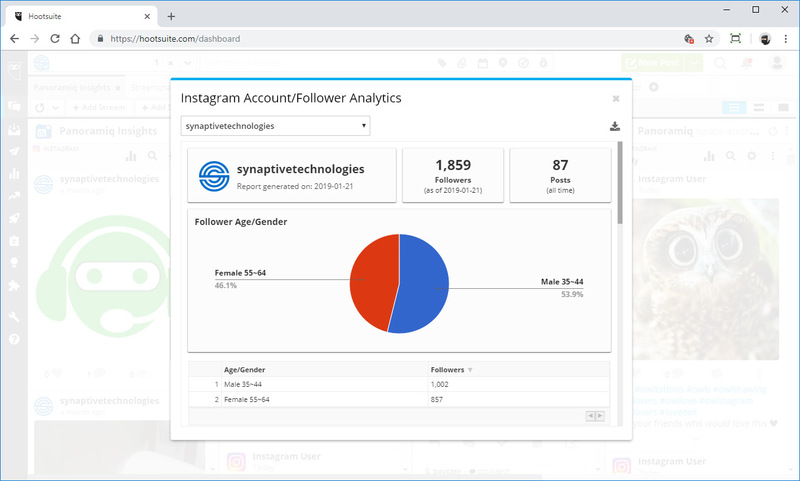 For more info visit our web site at: https://www.synaptive.com/panoramiq-insights-instagram.